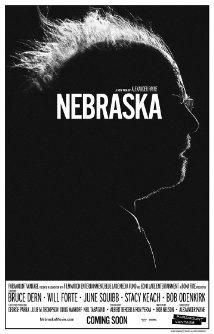 Ramsey Recommends: Movie Review: "Nebraska"
One of the things I like to do every year is see all the Academy Award® Best Picture Nominees before the telecast. This year I hit my goal by seeing Nebraska just a day or two before the show. It was one of my favorite movies of the year. Academy Award Best Actor® nominee Bruce Dern played Woody, a man who is the definition of “grumpy, old codger.” To his wife and adult sons’ dismay, Woody decides to go from Billings, Montana to Omaha, Nebraska because he wants to collect his sweepstakes winnings, even if it means he has to walk there. Nebraska is a tale about love, greed, and forgiveness that will make you laugh and cry.